Yukon, with a population of a mere 35,000 people spread over 500,000 square kilometres, is the Westernmost of Canada’s territories. It remains one of the world’s great wildernesses and the best places to stay in the Yukon are a perfect base for exploring this wild landscape. The territory is bilingual (English and French) and has its capital at Whitehorse. Most of the region lies on the watershed of the Yukon river and the southern portion is dotted with many large glacier-fed lakes that flow into the river. The Europeans arrived in the early 1800’s as a result of the fur trade, missionaries followed and then gold miners. The Klondike goldrush of 1897 transformed the area. Thousands of prospectors descended on the goldfields around Dawson City, whose population grew within months to 40,000 - all adventurers eager to make their fortunes. Within a couple of years the mania had passed, with most leaving disappointed. The memory of these times is a considerable lure for modern day tourists. Today, the Yukon is a pristine natural paradise and most come to enjoy hunting, fishing, canoeing, riding, walking, hiking, climbing, skiing… the list goes on. Not forgetting the annual storytelling festival and the ‘Yukon sourdough rendezvous’! Use our guide to the best places to stay in the Yukon and start to plan your wilderness adventure! Bombay Peggy’s in Dawson City is the Yukon’s ‘only restored brothel’! It has plush interiors and antique furniture reminiscent of the goldrush days. The speakeasy style pub has live music and it's a lively fun place to stay. 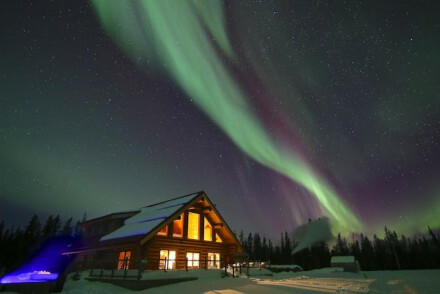 Northern lights resort and spa is a remote lodge spa set in160 acres of wilderness. There are log cabins with open fires and hot tubs, Finnish saunas and massage. Completely off the beaten track, this is great walking country or somewhere to marvel at the Aurora Borealis. Still not sure which to book? Browse through our list of the best places to stay in the Yukon or contact a friendly guru for advice. 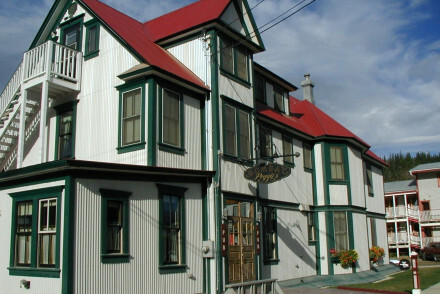 Proudly describing itself as "the Yukon's only restored brothel" Bombay Peggy's certainly is a unique stay. Antique furnishings and deep palettes take you back to the time of the gold-miners whilst the pub is a bonafide speakeasy with weekly live musicians playing and plenty of vintage charm. Great walks - Immerse yourself in the history and scenery of Dawson with the Ninth Avenue Trail which loops around the town. 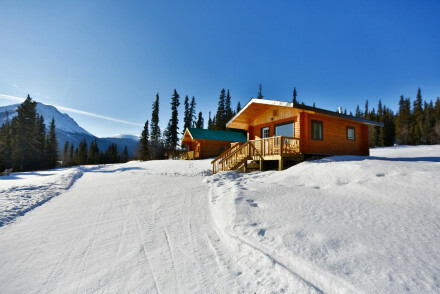 A remote lodge and spa in 160 acres of breathtaking Yukon wilderness. Individual log cabins feature comfy beds, roaring fires, and patios perfect for basking in the beauty of the Aurora Borealis. Outdoor hot tubs, Finnish sauna and expert massage treatments will leave you feeling utterly refreshed. Great walks - Guided and interpreted hikes with a focus on the natural history of the Yukon. A handful of charming cabins set in the rugged beauty of the Yukon's northern landscapes. Enjoy an abundance of activities such as canoeing, fishing, snowsledding, snowmobiling and hiking trails to explore by foot. Expect breathtaking views and the chance to view the Northern Lights.